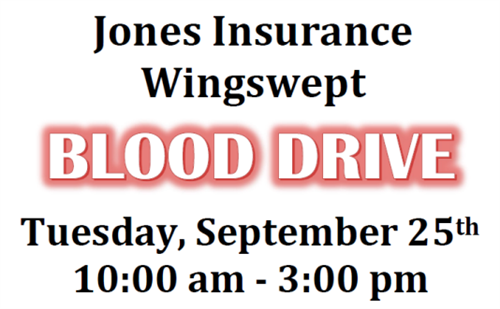 Jones Insurance and WingSwept have partnered to host a blood drive. Donors will receive a $10 Chick-fil-a gift card. Appointments are encouraged. Walk-ins are welcomed. The process generally takes about 45 minutes.